Volkswagen of America unveiled the 2016 Jetta GLI, the sedan equivalent of the Golf GTI. Equipped with a specially tuned sport suspension and a 210-horsepower, 2.0-literTSI® turbocharged and direct-injection EA888 four-cylinder engine, the GLI offers a compelling blend of value, performance and practicality. For 2016, the GLI gets a bold new look highlighted by an aggressive front fascia that incorporates a honeycomb grille and foglights, along with a new rear bumper design that has a diffuser and a pair of chrome-tipped exhausts. All 2016 Jetta GLI models have 18-inch Mallory design aluminum-alloy wheels, shod with standard all-season tires or optional summer performance tires. Inside, 2016 GLI models benefit from the new MIB 2 infotainment system that incorporates the full suite of USB and Car-Net connectivity. The well-equipped SE model sports LED tail-lights, Keyless access with push-button start, Climatronic® automatic dual-zone climate control, a sunroof, 6-way power driver seat, a rearview camera, front and rear Park Distance Control, the award-winning Fender® Premium Audio System, rain sensing wipers, auto headlights, and heated seats. 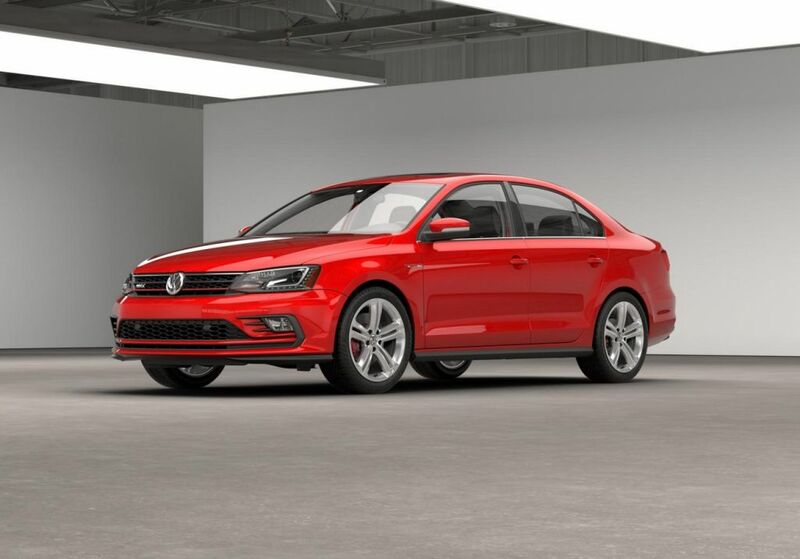 The GLI SEL adds a number of upscale features, including Blind Spot Detection with rear traffic alert, a navigation system, Bi-Xenon headlights with the Adaptive Front-lighting System, and Homelink®. The AFS system swivels the main headlight beams by up to 15 degrees as the steering wheel is turned to help illuminate bends in the road more effectively at speeds of more than 6 mph. A new standard feature on the 2016 Jetta GLI is Volkswagen’s Automatic Post-Collision Braking system. This builds on the premise that a collision is rarely a single, instantaneous action, but rather a series of events that follow the initial impact—the most significant of which can cause additional collisions. The Automatic Post-Collision Braking system addresses this by applying the brakes when a primary collision is detected by the airbag sensors, thus helping reduce residual kinetic energy and, in turn, the chance of additional damage.